It’s time for the week that was in Texas politics with Texas Tribune reporter Patrick Svitek. 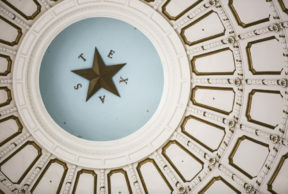 The Texas Legislature will return to Austin for a special session on July 18. Gov. Greg Abbott issued a 20 item call, including the must-pass sunset bills that are needed to keep some state agencies going. Svitek says the session call also includes a variety of items dear to conservative lawmakers, especially Lt. Gov. Dan Patrick. They include property tax reform, the so-called “bathroom bill,” anti-abortion measures and a crackdown on mail-in ballot fraud. “It’s doubtful they’ll get through all 20 items,” Svitek says. Switek says it remains to be seen whether Abbott would call subsequent special sessions if lawmakers don’t pass all 20 items. Each special session lasts a maximum of 30 days. Attorney General Ken Paxton is likely to get his wish – a new judge in his ongoing securities fraud case. Svitek says Paxton has been fighting for a new judge in the case since it was moved from Collin County in north Texas to Harris County. A U.S. District judge in Corpus Christi heard arguments this week in the case challenging Texas’ voter ID law. In response to a previous ruling that the law was intentionally discriminatory, the legislature passed a “softened” version during the last days of the session, Svitek says. At this week’s hearing, plaintiffs argued that the updated law did not sufficiently address their concerns with voter ID requirements.